To familiarize yourself with DuckDuckGo and understand why it's the default search engine in Linux Mint 12, please read this blog announcement. 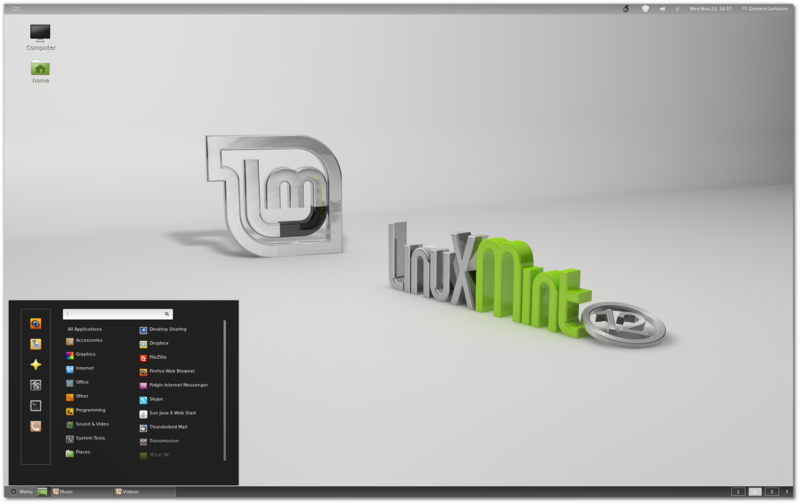 Type "r" and press "Enter"
Linux Mint 12 features two new themes: Mint-Z and Mint-Z-Dark. 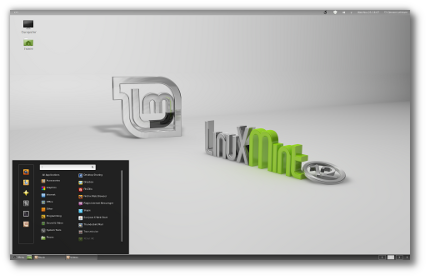 Mint-Z-Black looks like the RC release of Linux Mint 12 and features a black menu, window list and bottom panel. 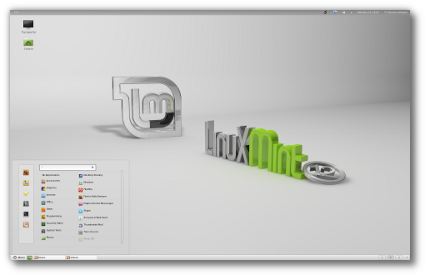 Linux Mint 12 features "Sushi", a file previewer for Nautilus. When you're browsing directories in the file manager, select a file and press the "space" key to preview it. Sushi can preview all sorts of files and contents: Pictures, music, videos, documents, pdfs...etc. Gnome 3, Gnome Shell and MGSE are brand new technologies. They will mature with time and gain in functionality and stability. If Gnome starts to act slow, or if it crashes on you, be aware that you can restart it without closing your windows or logging out. Switch to the console using "Ctrl Alt F1"
Restart gnome shell from the console by typing "gnome-shell --replace"
Go back to your display using "Ctrl Alt F7"
Linux Mint 12 comes with the Virtualbox guest additions pre-installed, so it's possible to run the live session with Gnome Shell and MGSE. Give the virtual machine as much Memory Video as possible. Tick the checkbox "Enable 3D Acceleration"
Without 3D acceleration your virtual session will run in Fallback mode. If your settings are correct it will run with Gnome Shell and MGSE. 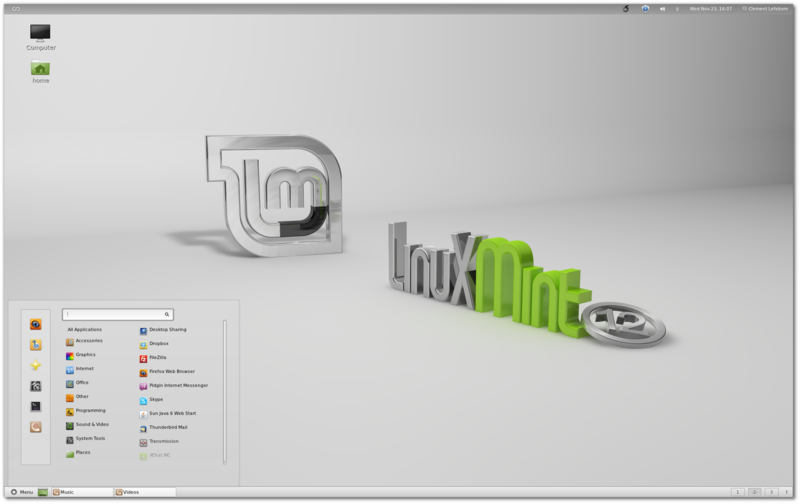 To install MATE simply install the package "mint-meta-mate". newpaul	 I'm so happy with Gnome 3 that I ditched the bottom panel & the mint Menu. It's like having a super fast whole-screen menu, with a bang on the top left. @BigBaaadBob: you can switch workspaces pretty easyly with... one mouse click. sohnman	 Great article, thank you for your input and instruction! BigBaaadBob	 Disabling the bottom pannel causes the workspace switcher to arrange workspaces vertically (you have to CTRL+ALT+UP/DOWN to move between them). How can I arrange them horizontally again (CTRL+ALT+LEFT/RIGHT) while still having only the top pannel? OK, I'm using a live Mint12 DVD (from LXF). I'm intrigued that mint-meta-mate is not a "featured" application in the SoftMan. I try SoftMan, mint-meta-mate, install. It seems to read something, according to progress bar, but then stops silent. I re-check for mint-meta-mate in SoftMan, it confirms not installed. ah, there it is at last. Clearly suitable for a beginner, someone who might be trying out Linux. (sarcasm). And, once again, I see if I can "group windows" in "window list" dock. (Bah!) I've been had again. A learning experience of sorts. (The "don't bother" sort.) Thanks for wasting most of my time. But also, this "Configuratin" database tree is obscure, horrible to navigate, like mucrosoft, divorced from the actual appearance. Takes an age to find where to go. There are better ways to do this. I devoutly hope all this is not the shape of the future. Where is the convenient, intuitive (& functional) point-of-use adjustment available on LX & elsewhere? deminted	 OK, I'm using a live Mint12 DVD (from LXF). It seems to read something according to progress bar, but then stops silent. I re-check for mint-meta-mate in SoftMan, it still says not installed. Secondly, I'm intrigued that mint-meta-mate is not a "featured" application in the SoftMan. deminted	 The style of this page /tutorial/view/685 is a bit sparse. I found myself wondering "MATE - what IS it?". Yes, it's probably obvious to the writer, but I felt the need to look up elsewhere to find that it's the gui user interface, and tweaks thereof. Maybe I'm a bit slow, or I should understand this from the aether? I see here "Restart Gnome Shell when needed". I understand that MATE is considered posssibly unstable. So where is the "restart MATE when needed"? deminted	 I like to have just the one window-list entry for all Firefox, say, which expands on click. I just HATE to have a mish-mash of repeat windows on the 'dock', which gradually vanish into squashed obscurity as more entries are added. In a sensible system, I could just right-click on the panel (at point of use), and set one-entry-per-program as an option. As it is with 'my' Mint12 live, I can't find how to do that. Not very intuitive or useful. I'm unhappy. Flame. omynos	 Gnome 3 and MATE are a disappointment. All the of the really fun cosmetic programs (Emerald, Compiz) don't work or don't work well. My biggest complaint is the fact that there is no way to at least emulate these programs. I wish I would not have deleted my LM11 iso. While I'm sure these troubleshooters are going to be useful to some, they are straying away from all that made linux a fun and exciting experience. Bring back emerald! Or show me a similar program that works! Clutter is useless, and Compiz does not work (when activated, it removes the panels in gnome 3, and in MATE it does not stay affixed permanently, even when forced as a startup program). change text scaling to 0.9 and all fonts to size 10. additionally, switch to single top panel as described in the article. this helps. note to webmaster: it's bad policy to send user's password in the registration confirmation email. 1. this reveals password or password pattern in potential cleartext or to untrusted handler (gmail), 2. if wrong email is accidentally given, gives your credentials to wrong recipient. kazztan0325	 I have changed the theme of MATE to 'Mint-Z-Mate', but CPU usage is still very high (about 60%) even if when PC is idle. I hope Mint Team would fix MATE's issues as soon as possible. I think it was too early to release Lisa as Mint 12 Stable Release. abhay4589	 Is there any way to directly add quick shortcut in Menubar? This is indeed very nice edition of GNOME3 based distro, Just because it's less annoying. rjrich	 I have been testing Linux Mint 11, and I was eager to try version 12. Initially I was in despair when I could not create in v12 the aesthetic and functional desktop I had enjoyed in v11. When I discovered how to access MATE, I was greatly relieved; beforehand, I had almost decided to abandon v12. Thank you for producing an excellent OS, and I trust you will continue to give users a choice of desktops. In particular, I favor the Gnome2 approach embodied in MATE, and I look forward to future updates that will address compatibility and stability issues. IslandWolf	 Thanks, Clem. Very useful information for a returning penguin chick (as in "child", not "girl"). LONNIEFUTURE	 Thankyou for the ongoing help I truly appreciate your devotion. Lisa is looking lovely by the way, cant wait til all the bugs are fixed she's beautiful! I ended up changing the theme, and MATE became unresponsive (logged into a gray screen @ 100% CPU). Anyway, to be able to log back in to change the theme back to Mint-Z-Mate, i deleted all MATE related config files in the home folder from a TTY console. And everything should be working again. Other than the theme problems... MATE is just how i like my desktop. Thanks for the release, very awesome. thetomster	 I run GNOME 3 MSGE, with only the the top panel. works fie for me. uninstalled MATE completely, not stale enough, and no step into the future. for me GNOME 3 MSGE works fine and I get my work done on it like before. Tonya	 Very useful and helpful article! Many thanks! Alexio	 I would like to see here a chapter about how to get a classic GNOME desktop with the GNOME Shell Extensions (Reflection, WindowList, Dock Panel) as described on the Linux Mint Forums: Get classic Mint desktop in Gnome shell. Nice with a grey menu, it looks conistent.